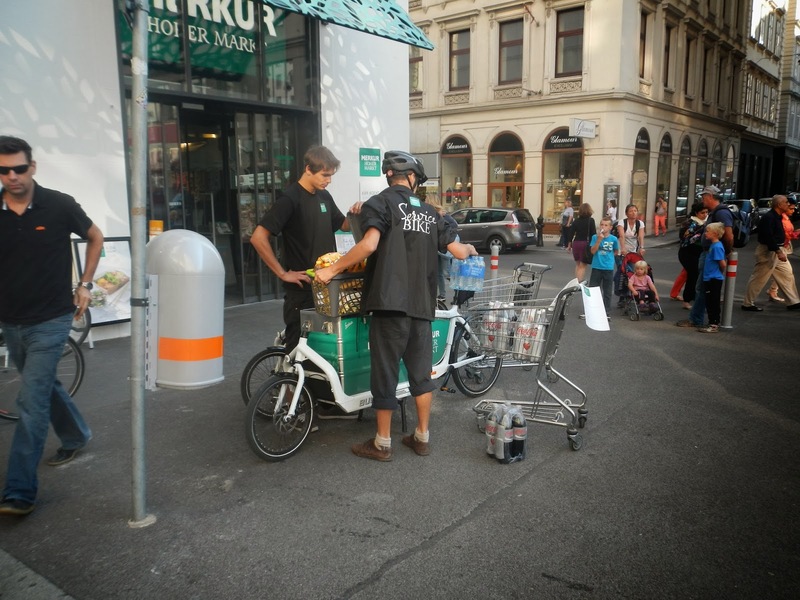 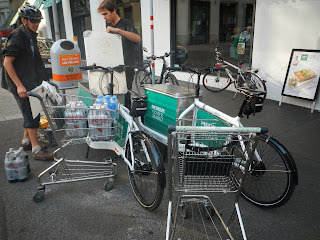 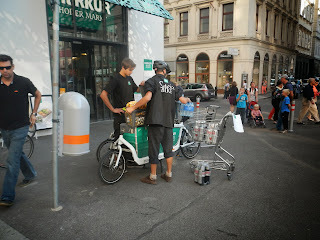 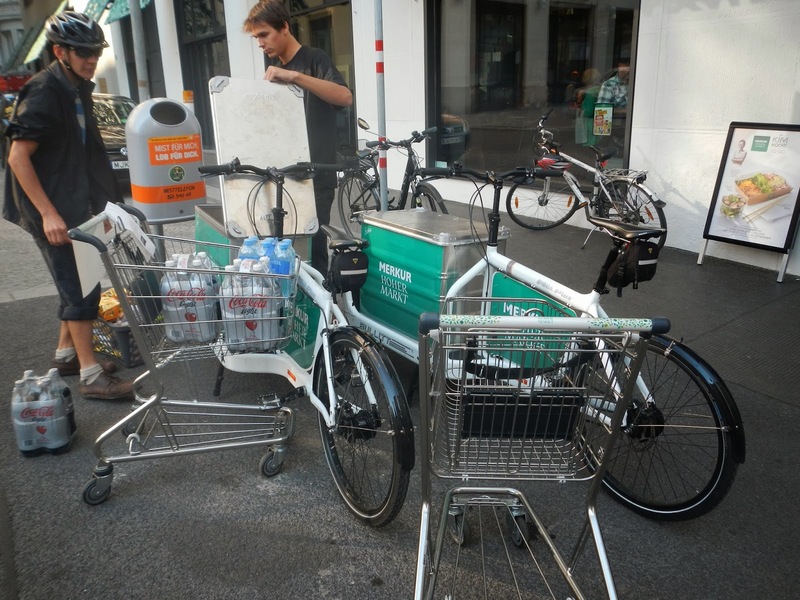 I was pleased to see that the Merkur supermarket on the Hoher Markt in Vienna offers deliveries by bicycle in the centre and inner suburbs of Vienna. 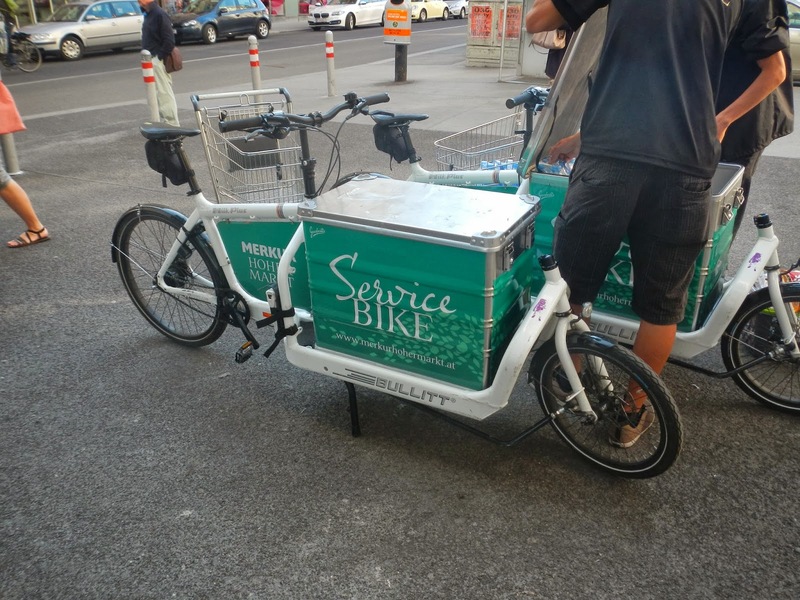 The company uses a pedal-powered Bullit cargo bike. 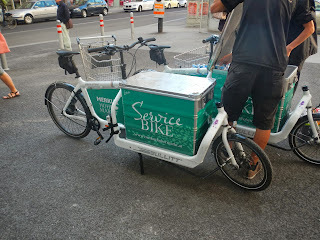 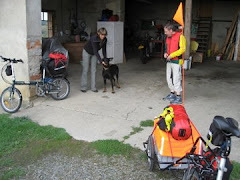 The original plan was to use an e-bike, but the lads doing the deliveries on the basic Bullit found it was up to the job without pedelec assistance.